Racing to join the previously released Superman and Green Lantern comes the Scarlet Speedster and guardian of the Gem Cities, THE FLASH! Barry Allen was a mild-mannered forensic scientist (who was perpetually late) working late at night in his lab when a bolt of lightning changed his life forever. The electricity and chemicals combined mysteriously to imbue Allen with unbelievable speed and thus the Flash was born! 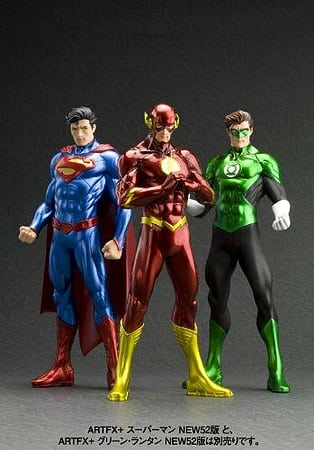 Not content merely to stand at attention like his fellow Justice Leaguers Superman and Green Lantern, the Flash can't stay still for a moment. Ready to speed off to fight crime or supervillains with a wide-legged stance, Allen cracks his knuckles in anticipation. 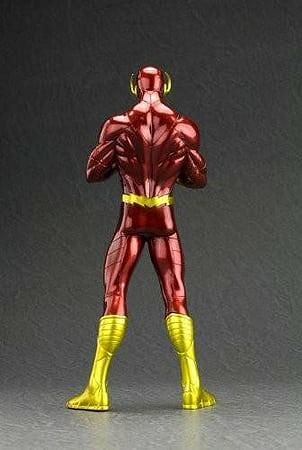 The Scarlet Speedster's New 52 costume maintains the character's traditional bright red and yellow color scheme but updates it with a bold new lightning bolt logo and intricate energy lines crackling all over his suit. 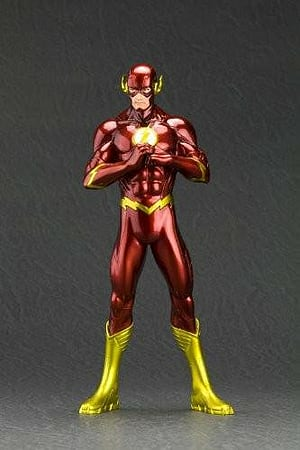 The Flash's excellent sculpt even includes the new technological details of his costume like the reinforced boots. 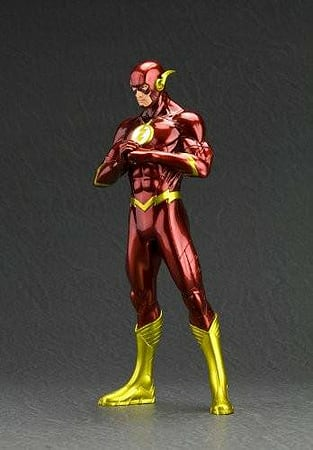 Standing 7 a_ inches tall (in the ARTFX+ 1/10th scale), the Flash was sculpted by master artist Atelier Bamboo.